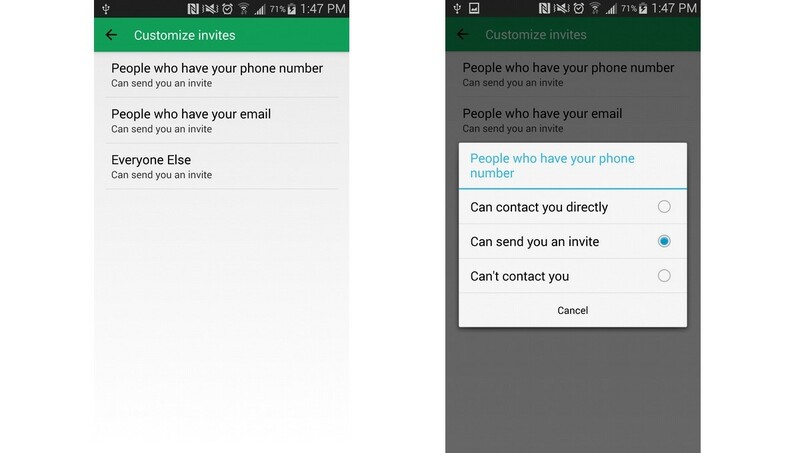 Hangouts users on Android will now get a better idea of who’s trying to contact them. The current default for new chat notifications is pretty static (you get notifications for all users the same way). With this, users will either be able to contact you directly, send an invitation, or you can prevent them from contacting you altogether. The new feature is probably not quite as granular as some people wish the notification control was, but it’s a start.